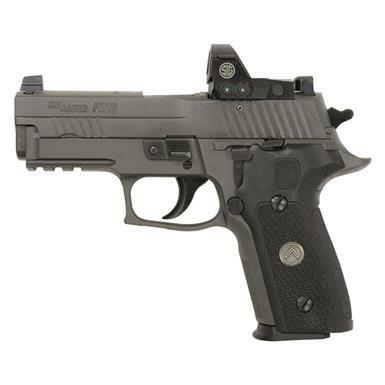 The proven P229 merges with the Romeo1 electro-optic for stunning precision and portability. Reliable? Totally. With over 3 million rounds of US Government testing, the SIG SAUER P229 offers exceptional performance and durability. Carried by the Department of Homeland Security Office of Immigration and Customs (ICE), U.S. Coast Guard and many other federal agencies, this compact-sized pistol has proven itself time and time again. The P229 Legion Compact RX takes the proven pistol to the next level with a few key upgrades. 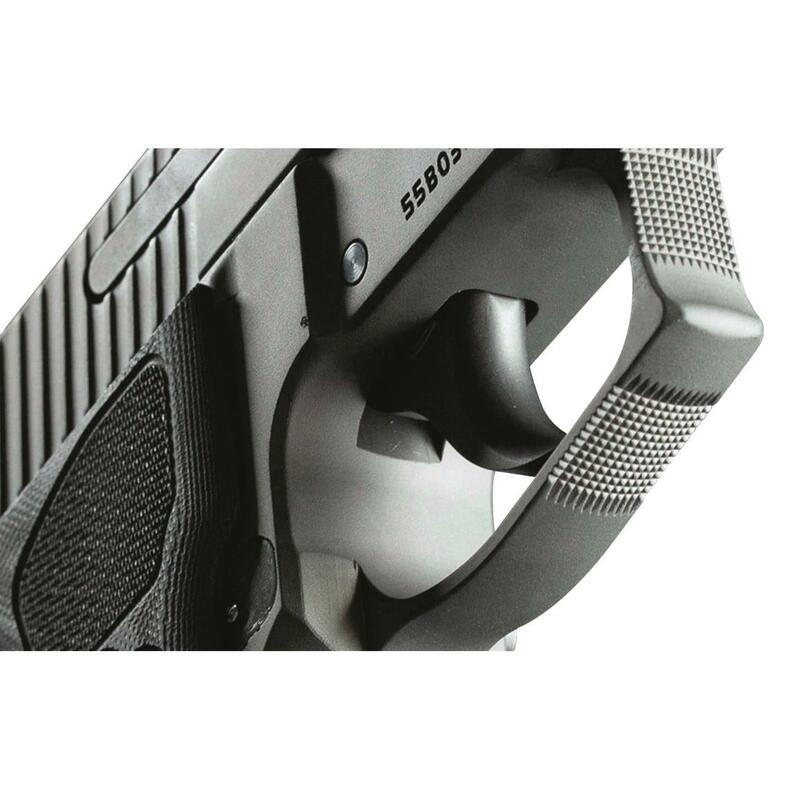 The first is the highly-polished action augmented with SRT Short Reset Trigger internals, which significantly reduces the length of travel needed for the trigger to reset. The physical trigger itself has been upgraded to a Greyguns Inc. P-SAIT trigger, which offers over-travel adjustability. Last but certainly not least, the P229 Legion features a Legion Gray PVD finish for superior corrosion resistance (and a bit of style). This model comes with SIG's own Romeo1 Reflex Optic factory-mounted and factory-zeroed for out-of-the-box accuracy. When the action is fast, target acquisition and accuracy are paramount. SIG's miniature, open reflex ROMEO1 sight withstands the punishment of deployment while delivering pinpoint accuracy and lightning-fast targeting. CNC-machined from a solid billet of Magnesium for lightweight strength, it features a molded aspherical lens that's bright and distortion free, and the red-notch coating ensures a brilliant 3 MOA red dot. MOTACTM technology delivers reliable motion-activated operation that "remembers" your last setting after powering off. And it's powered by a top-loading battery, so you never have to lose your zero.